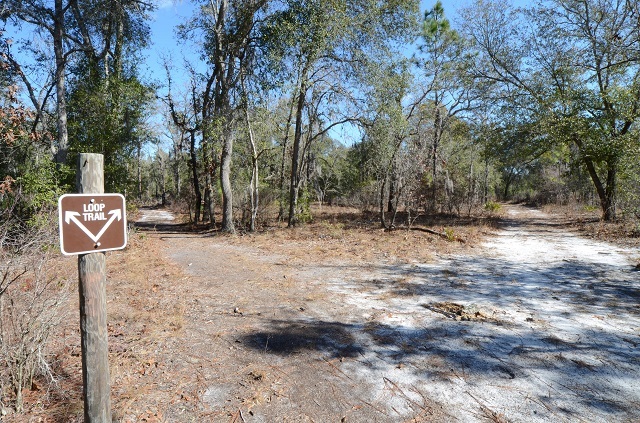 Jennings State Forest’s wild and scenic lands encompass 15 biological communities, including sandhills, slope forests, bottomland hardwoods, flatwoods and blackwater streams. Stop at any trailhead to pick up a map and trail guide. Look for resident sandhill species like Bachman’s Sparrow, Brown-headed Nuthatch, Northern Bobwhite, American Kestrel, and Red-headed Woodpecker. In spring and summer, Common Nighthawks can be heard and seen, as well as Great Crested Flycatcher and Northern Parula. Woodpeckers and nuthatches are likely on the 5-mile, North Fork Black Creek loop (use the trailhead on Live Oak Ln.) and Dunn’s Farm trail. The powerline at the end of Live Oak Ln. is especially good for Bachman’s Sparrow and American Kestrel. Go right (east) on Powerline Rd. to a parking area, where an observation tower is located. Bachman’s Sparrow can also be found off Long Branch Rd. before Road 2. Check the ravines on the back side of Dunn’s Farm Trail for wintering and migratory songbirds. Frosted Elfin and Sleepy Duskywing butterflies are active here from late February to early April; other interesting species such as Summer Azure, Little (Viola’s) Wood-Satyr, Dion Skipper and Great Purple Hairstreak occur as well. Portions of roads and trails may flood after heavy rains. Seasonal hunting occurs in this area, please click here for dates, regulations and more information.